Relocating with pets may add a whole new dimension to your move, but there is plenty you can do to reduce stress levels for both you and your furry friend. Here are five things to consider when moving with one or more pets. 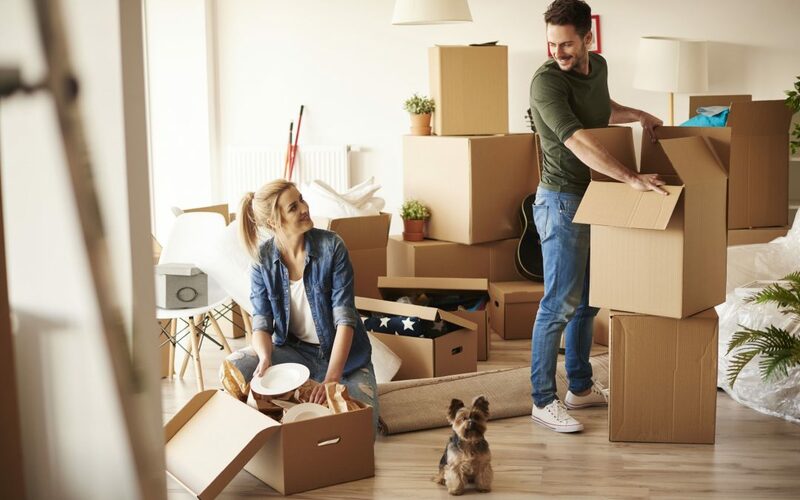 Verify that the area in which you are looking to move allows pets and research whether there are any restrictions that will affect you and your family. Make sure your pet has all the necessary shots and vaccines, and get a copy of the medical history. Need medications? Get refills now so you aren’t pressed for time following the move. Ask your current veterinarian for referrals or suggestions for finding a new vet in your new location. Update tags, microchips, and anything else where your contact information will be necessary should your pet get lost or injured. If you are relocating within the same town and have the option to keep your pet with a trusted friend, family member, or kennel during the actual move, do it. Keep exposure to chaos and noise to a minimum and bring your pet to the new home once everything has been placed inside. This also reduces the chance of your pet wandering out of an open door during the move . The last thing you probably wish to do is move anything smelly from one home to the next. However, familiar scents are important for easy transitions, so include unwashed blankets or articles of clothing in the crate. For cats, bag up used litter (remove clumps first) and pour it back into the litter box immediately upon arrival to the new home to establish your feline’s space. Once you are in your new living quarters, make sure your pet’s personal items such as toys, bedding, food, and water are unpacked and easy to locate. Offer plenty of attention and affection to help them adjust to the change. For a free quote on moving assistance as well as specialty services, contact Attention To Detail Moving today!